The top court has decided to examine the contention that the poll panel has limited legal powers to deal with hate speech in election campaigns. 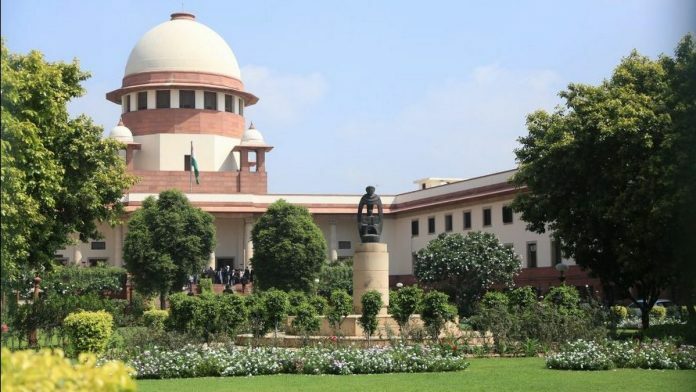 New Delhi: The Supreme Court Monday expressed displeasure over the EC action so far against BSP supremo Mayawati and UP Chief Minister Yogi Adityanath for their alleged hate speeches during campaigns and decided to examine the ambit of poll panel’s power on the violation of model code of conduct. A bench headed by Chief Justice Ranjan Gogoi took note of the alleged hate speech of the two prominent leaders of Uttar Pradesh and asked the Election Commission about the action after its submission that it was “toothless”. “Tell us what are you doing… Tell us what actions you have taken,” said the bench, also comprising Justices Deepak Gupta and Sanjiv Khanna. “The power of the EC in this behalf is very limited. We can issue notice and seek reply but we cannot de-recognise a party or disqualify a candidate…we can only issue advisories and in case of a repeat offence, register a complaint”, the counsel for the poll panel said. The apex court was hearing a PIL filed by an NRI Yoga teacher based in Sharjah in the United Arab Emirates (UAE), seeking a direction to the EC to take “strict action” against political parties if their spokes-persons make remarks based on caste and religion in the media in the run up to general elections. “What for, you want to file the counter affidavit (reply). Tell us what action you have taken. Tell us as to how many people have been served with the notices,” it asked. Referring to alleged hate speech of Mayawati in a rally, the bench asked, “Has she replied. What actions you (EC) are empowered to take take in law”. The bench then said the time for responding to the EC’s notice by the BSP leader had already expired on April 12 and wanted to know about the subsequent action against her. Referring to communal and caste-based election speeches and remarks of political leaders, Mansukhani said he has filed the plea to “maintain secular environment in the forthcoming Lok Sabha Election, 2019”. In the plea, he has sought various reliefs including a direction to the poll panel “to take strict actions against the political parties if their spokesperson or representative deliver speeches and make remark in media pertaining to the religion or caste. The plea, filed through lawyer Arup Banerjee, has also sought setting up of a committee under the chairmanship of retired Supreme Court Judge “to have close watch on entire election process and to check the loyalty of election commission”. “A new trend of giving tickets to those who spread communal hatred and do caste or religion based politics has grown very rapidly on media and social media platform more than that the situation appears to be more alarming when we find such persons being elected for the State Assembly or Parliament…,” the plea said.